Sir David Cox was born in Birmingham in 1924. He studied mathematics at St John’s College, Cambridge, and obtained his PhD from Leeds University in 1949. In 1955, Cox published his seminal work on the Cox process, where the time-dependent intensity is considered a stochastic process. In 1956 he moved to Birkbeck College as a reader in statistics and in 1961 was appointed a professor. In 1966 he took up the chair position in Statistics at Imperial College and later became head of the mathematics department. In 1972, Cox proposed the proportional hazards model, which separates the time-dependent hazard function from time-independent predictors. The analysis of medical data was greatly eased by this contribution, and this model is still used extensively in the analysis of survival data. In 1973, he was elected fellow of the Royal Society of London and was knighted by Queen Elizabeth in 1985. In 1988 he became warden of Nuffield College and a member of the Department of Statistics at Oxford University. 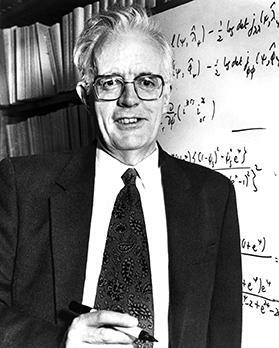 In 1990 Cox was awarded the Kettering Prize for his contributions to cancer treatment and in 2010 was awarded the Copley medal of the Royal Society for his contributions to the theory and applications of statistics. After his retirement in 1994, he served as president of the Bernoulli Society, the Royal Statistical society, and the International Statistical institute.